The best and easiest way to create a video from photos for Facebook is to use Filmora Video Editor for Windows (or Filmora Video Editor for Mac). 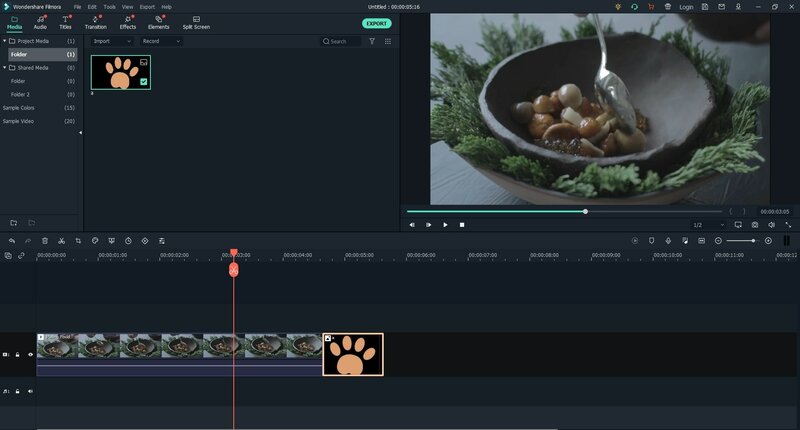 This is a well-known and simplest video editor that provides you with multiple tools, which allowing you to turn pictures into video easily. 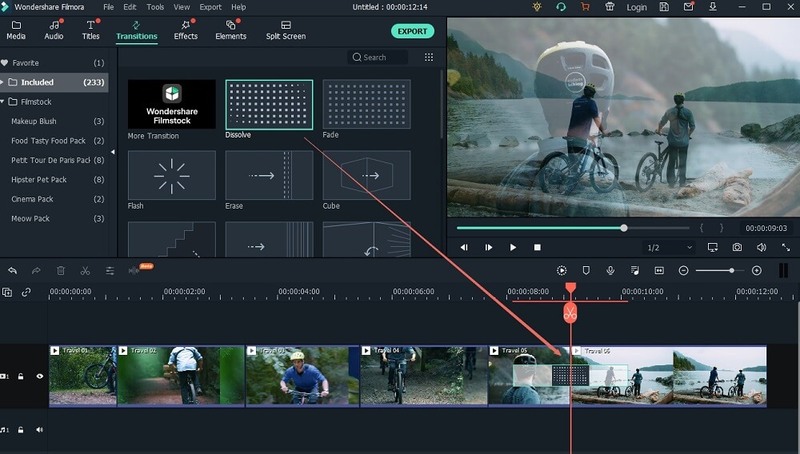 Filmora Video Editor comes with easy-to-use video editing tools, such as rotating, trimming, cropping, splitting, combining and many others. You can simply drag the pictures to the program and create video instantly. 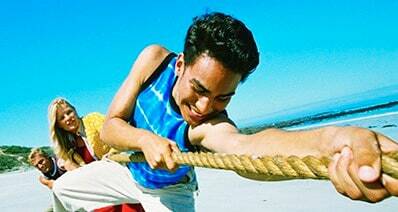 The video enhance tools let you optimize your picture video. You are able to change the brightness, resolution, audio tracks, speed and other settings. This software helps you to make picture video and edit the video with basic and professional tools. You can make charming picture video by adding filters, transitions, overlays, texts, subtitles and other free effects. The screen detection feature allows you to detect a particular picture of the video and do specified editing. The exporting options include converting to formats, burning to DVD and uploading to Vimeo or YouTube. After you have downloaded the Filmora Video Editor, double click on the program file to open the installation window. 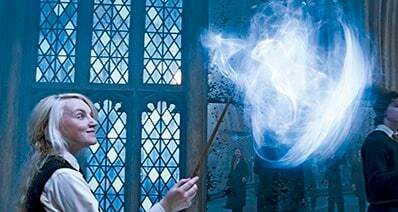 The built-in wizard will guide you to set up the program step-by-step. When finish, the video editing software will launch automatically. You will go directly to the main interface. It provides basic mode for quick editing and full feature mode for professional editing. To create photo video for Facebook, you can click on the "FULL FEATURE MODE". The simplest way to import your pictures to the program is by dragging and dropping the files to the program interface. 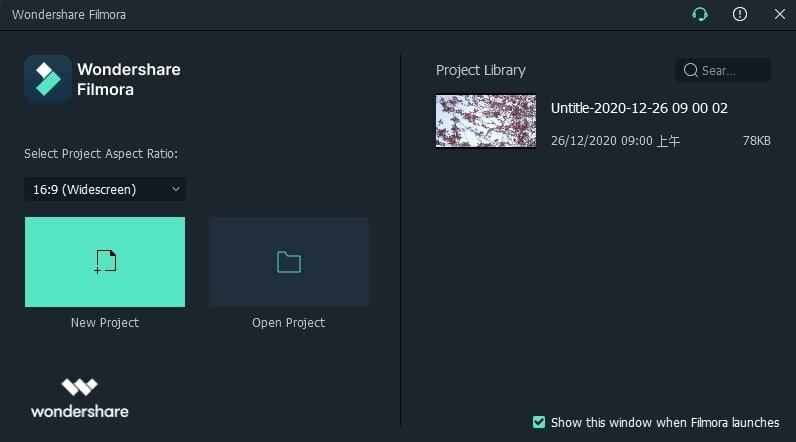 Alternatively, you can click on the "Import Media Files Here" button and choose the pictures from your computer and import them to the program. The imported pictures will be displayed on the media library. To make a picture video, you can simple drag the photos from the media library to the timeline. It will create a video with these photos. You can drag and drop any of the photos to organize them. And click on the "TRANSITIONS" button, you can select a transition effect and add it between the photos. Click on the "Export" button, you can select an option to save the picture video. You are able to set the suitable format and resolution for your video, then you can export the video to your device and upload it to your Facebook. Step 1. Go to the Facebook page and navigate to the part for writing post. There you can see the option of "Share a photo or video". Step 2. And in the drop-down menu, there are several options for you to create a photo or video post. Such as Upload Photos/Video, Create Photo Album, Create a Photo/Video Carousel, Create Slideshow, and Create a Canvas. Now you select the "Create Slideshow" option. Step 3. 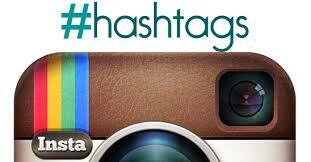 In this step you are able to preset parameters for the photo video slideshow. You can set the Aspect ratio, duration of each slide, and transition. Click on the "Music" tab, you can upload copyright audio track as the background music for the slideshow. Step 4. Now you can upload your photos by clicking on the "Upload Photo" or "Take Photo" option. 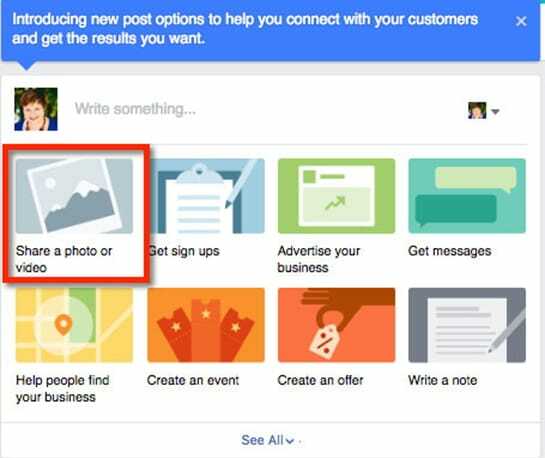 Facebook allows you to upload pictures from your Facebook page, timeline and timeline. Please note that you need to upload the pictures in the correct order you want. Step 5. After you upload all the photos you want, you are able to preview the picture slideshow by clicking on the "Play" button. You can upload 3-10 slides and the duration can be 0.5-5 seconds for each picture. Step 6. 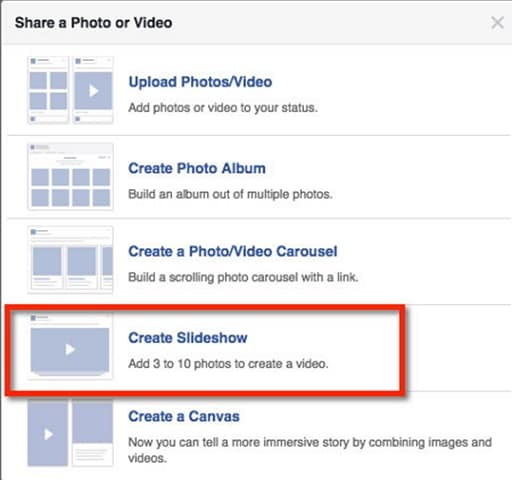 The last step is to click on the "Create Slideshow" to make the picture video for your Facebook. 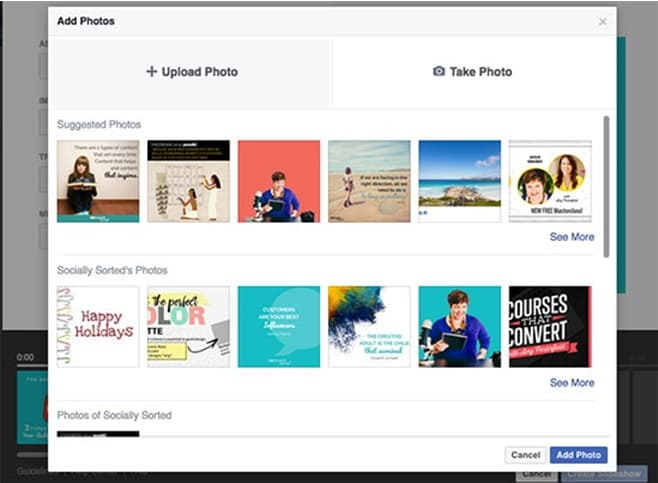 Facebook Slideshow is a useful feature especially to promote your business. 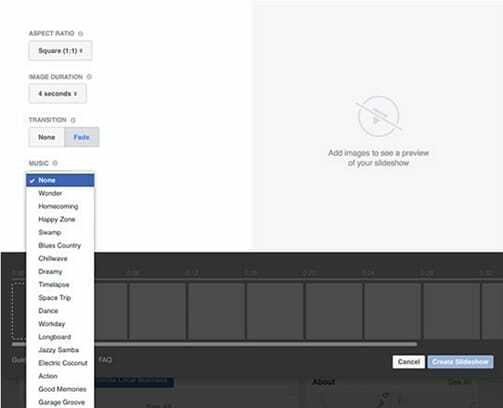 And Facebook still allows other way to create video on the site directly, which is to make Facebook profile picture a video. So how can you make a video your profile picture on Facebook? This feature now is only for iPhone users. When you open your Facebook on iPhone, in the profile setting window, tap on your profile picture. And you can simply tap on the option of "Take a New Profile Video". Just go ahead to upload your video or record a video and use it as your Facebook profile video. Done! 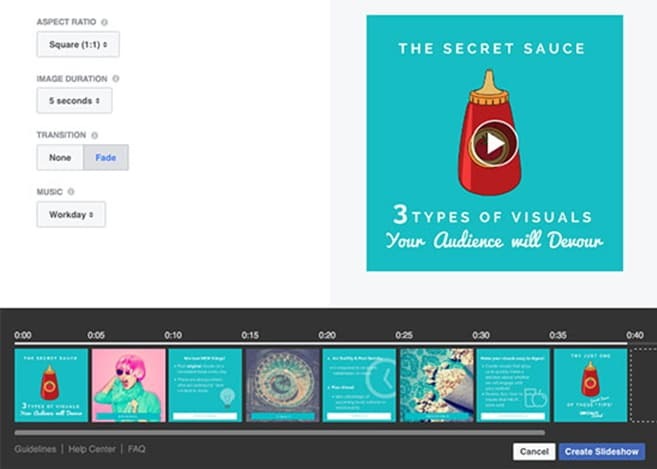 In this article, we talk about how to make a picture video on Facebook in 2 easy ways. As you can see above, compare these 2 ways, we always recommend you to use Filmora Video Editor, with this Facebook photo video creator, you can not only combine photos to a video, but also you can add many amazing effects on your edited video. Filmora Video Editor also provide the effect store for its users who want to apply more effects on their Facebook videos. Try it now, you won't regret it.